TEAM SPIRIT TOGETHER WITH COMMITMENT AND POSITIVE THINKING ARE THE KEYS FOR SUCCESS. As every coach, more than anything else, I think about winning. It's the source of my happiness and confidence, the reward for my job. There are some pillars in my way to understand the game which can lead to success. When I start my work, in front of a new team, the first step is to make a diagnosis, to look what I have, and then set priorities. All start with commitment and dedication. Bring players and staff to share the level of commitment. Every component of the team should be ready to pay the full price of the ticket to get the common target. There are not shortcuts, all will be built day by day, step by step, training by training. The second step will be to create a solid Team Spirit, TOGETHERNES is our word. I am used to start to change and to work to one concept at time, in a way that players will notice the result and this will generate enthusiasm, and this real excitement has the power to transform a player in another level of player. The following step is the Positive Thinking. We are in general coaches of "mistake and punishment "(stopping training almost 90% to correct mistakes and saying things like" no; so no; exactly the opposite; very bad; do not do that so, I said a thousand times; and never win in that way; ... "). I will act and teach in a way the players will learn through positive reinforcement, "positive freeze" as an element that fills 100% of internal tank of SELF-CONFIDENCE and will transfer that positive energy to let them making decisions without fear of being wrong. 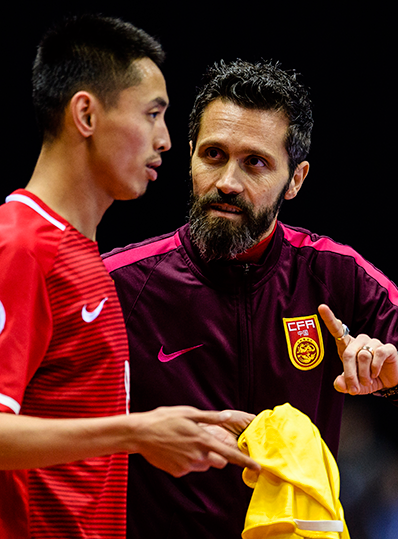 The important thing is to create technical and tactical behaviors, and then provide that process of learning these behaviors of high quality technical-tactical skills (where, how, when, why ...) for each game situation. 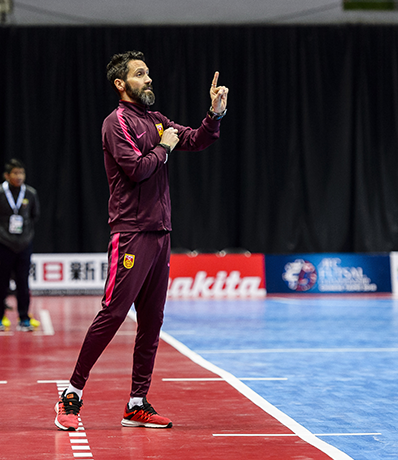 I tell my players that playing well is not intuition, it is about opening the correct file, processing it, finding a solution for the moment and performing it well technically. If you're good, you're going to correct your mistakes and you will overcome this difficulty. The situations we would face are never like what we do expect them to be. They are what they are and that's it. We are all champions at the bar. But on the court we must solve situations. We don't have time to drink coffee. This is the base I use to create the winning mentality. It is not enough to do things well. The other team can do them better, and then we lose. Things have to be done better than others. The winning mentality is achieved by winning and the first victory is against our limits and defects. 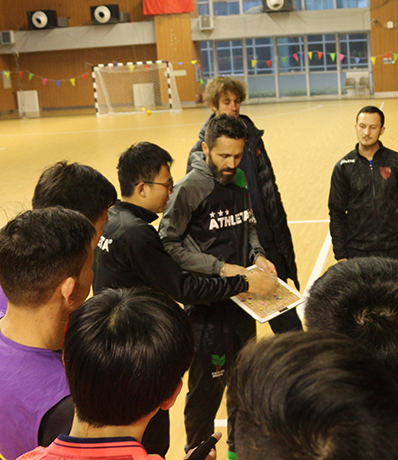 And we must be ready to find the solutions during trainings and games. And when you win, the problem is how to remain a winner. That's why I analyze the victories as if they were defeats to work hard and see how to move forward. During the years I have changed my methodology of teaching, especially adapting it to the culture and the country I worked. Since I worked in Japan, without translator, with lots of problem of communication I developed "THE FREEZING METHODOLOGY": Stop Training Situations "freeze", as an photo, to show players mistakes, different options for play or to show how good they did. These made me aware that all these comments have to be in real time, in order to make players understand better and improve their game comprehension.